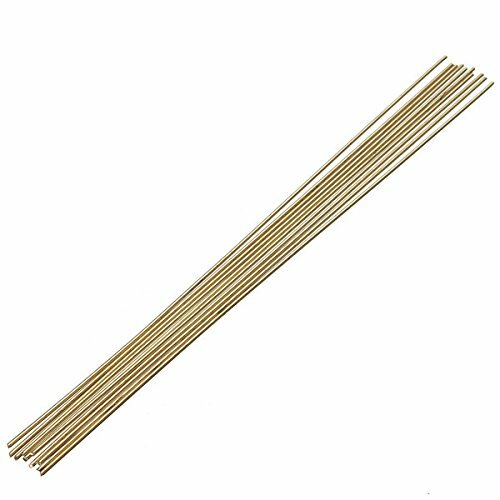 Bare Brass Brazing Rod is balanced zinc and copper alloy. Features excellent ductility and is smooth flowing. Excellent for brazing sheet metal pipes, fenders, water tanks and many cast iron applications. Requires flux. Yellow color coded. Forney Industries is one of America's longest operating family-owned metal working product companies. Founded in 1932, Forney offers more than 5,000 products for the hardware, automotive, farm and ranch and do-it-yourself markets. If you've got metal working questions, we've got answers. We're committed to your success regardless of location size or needs. 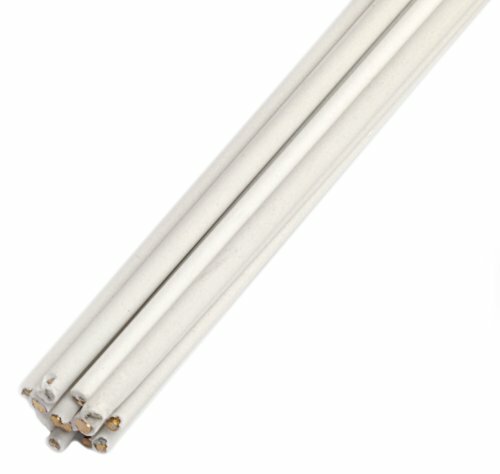 3/32-Inch (2.38mm) by 18-Inch (45.72mm) rods. 10 rods per tube. Tensile Strength is 63,000 PSI. Melting Point: 1,620⁰ F (882⁰ C). Claims for warranty must be made within 90 days of the date of purchase. Proof of purchase required. This warranty does not cover any product that has been subject to misuse, neglect, negligence or accident, or that has been used in any way contrary to the purpose intended. 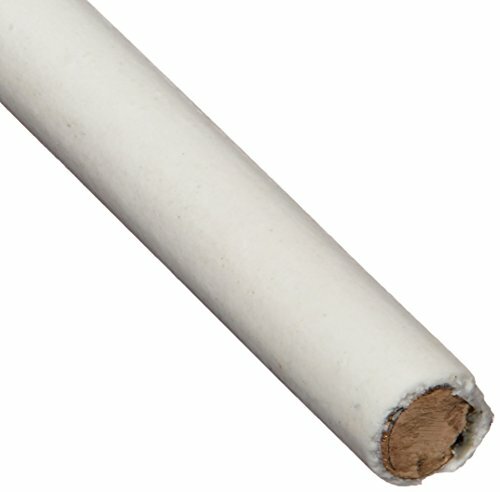 The Forney 48305 bare brass brazing rod is a balanced zinc and copper alloy. Features excellent ductility and is smooth flowing. Excellent for brazing sheet metal pipes, fenders, water tanks and many cast iron applications. Requires flux. Yellow color coded. Forney Industries is one of America’s longest operating family-owned metal working product companies. Founded in 1932, Forney offers more than 5,000 products for the hardware, automotive, farm & ranch and do-it-yourself markets. For more information, visit www.forneyind.com. If you’ve got metal working questions, we’ve got answers. We’re committed to your success regardless of location size or needs. Please contact our team at [email protected] 3/32 inch (2.38 mm) x 36 inch (91.44 mm) rods. 5 pounds (2.27 Kg) per tube. Tensile Strength is 63,000 PSI. Melting Point is 1,620⁰ F (882⁰ C). Can not be used on aluminum. Claims for warranty must be made within 90 days of the date of purchase. Proof of purchase required. This warranty does not cover any product that has been subject to misuse, neglect, negligence or accident, or that has been used in any way contrary to the purpose intended. The Lincoln Electric 1/8 in. 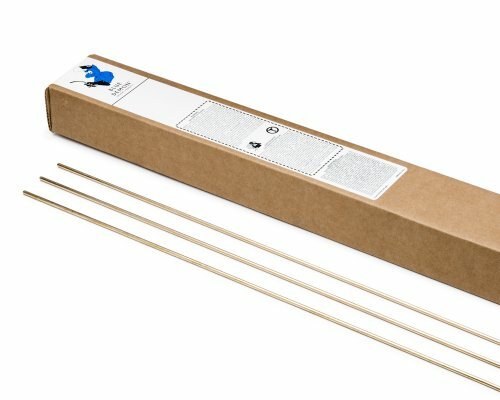 Flux-coated brazing rods (1lb tube) are malleable and are designed to fuse well with cast iron, galvanized iron, steel, brass and copper. A low fuming rod of the highest quality. Designed for high strength and wear resistance. No flux required for copper to copper connections. For copper to brass or bronze connections, flux is required. This alloy is a cost effective alternative to copper-silver brazing rods. Not for iron or nickel alloy metals. Working temp 13000Degree F. 1/8" x 18". 1/2 pound reusable storage. container. 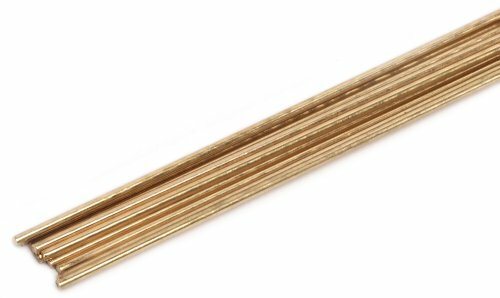 The Forney 48493 fluxed low fuming bronze brazing rod is high quality low fuming bronze brazing rod with flux. Formulated for high tensile strength and ductility. Smooth flowing. Excellent for most brazing uses. 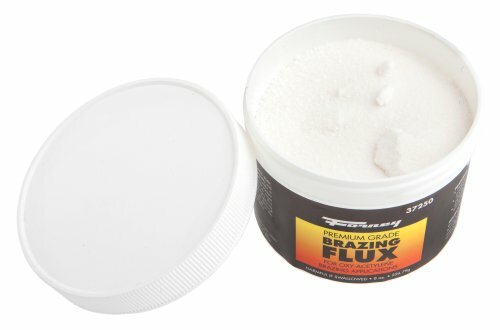 Flux coated for best cleaning action. Yellow color coded. Forney Industries is one of America’s longest operating family-owned metal working product companies. Founded in 1932, Forney offers more than 5,000 products for the hardware, automotive, farm & ranch and do-it-yourself markets. For more information, visit www.forneyind.com. If you’ve got metal working questions, we’ve got answers. We’re committed to your success regardless of location size or needs. Please contact our team at [email protected] 1/8 inch (3.175 mm) and 3/32 inch (2.38 mm) x 18 inch (45.72 mm) rods. 7 rods each, 14 total rods per tube. Tensile Strength is 65,000 PSI. Melting Point: 1,598⁰ F (870⁰ C). Claims for warranty must be made within 90 days of the date of purchase. Proof of purchase required. This warranty does not cover any product that has been subject to misuse, neglect, negligence or accident, or that has been used in any way contrary to the purpose intended. 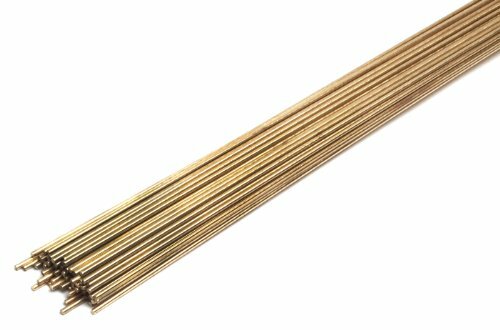 Forney 48300 Bare Brass Gas Brazing Rod, 3/32" X 18"
Shopping Results for "Brass Brazing Rod"